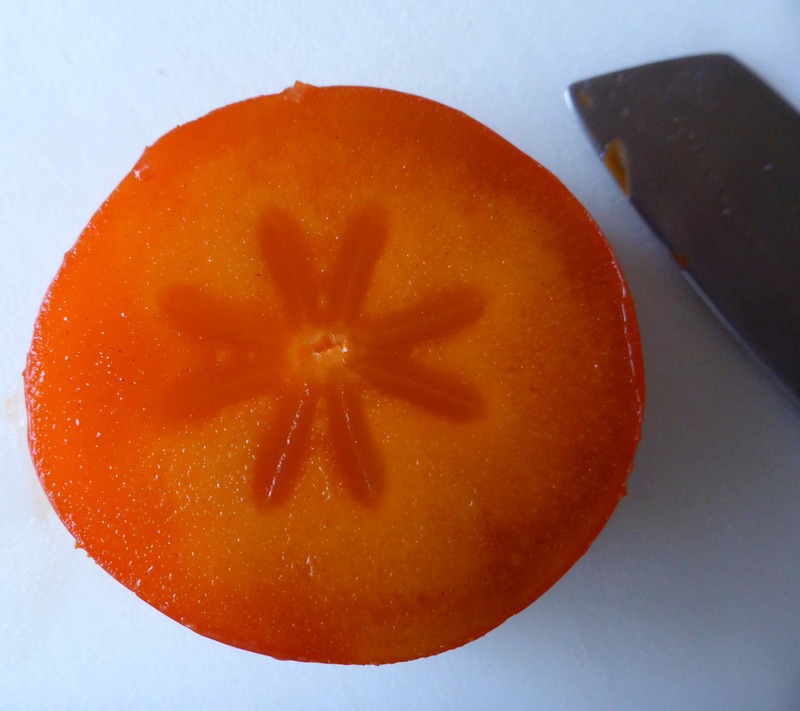 I am loving these persimmons. I do confess the ones sold in Wholefoods are far better than the ones I have delivered by Ocado but both sources are great. This one was perfect. Soft and juicy like a perfectly ripe peach. 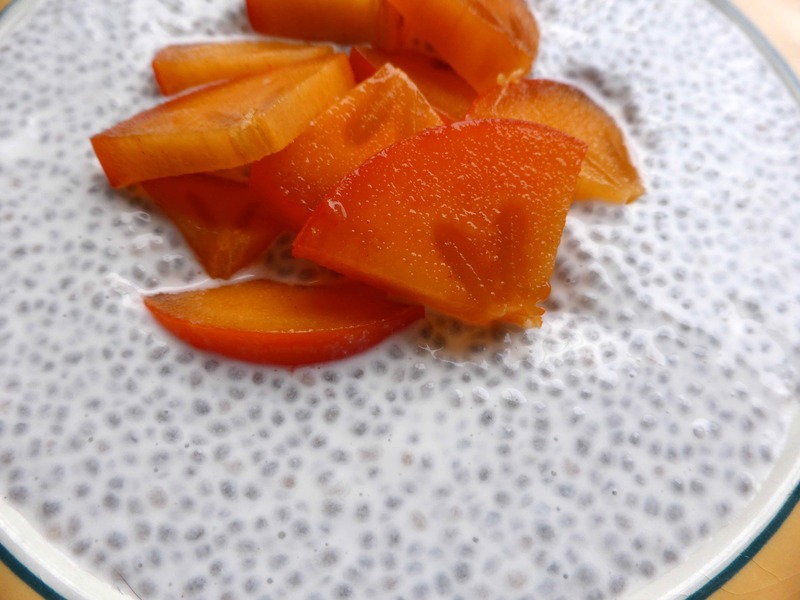 I mixed 1 tbsp chia seeds in to 1 cup of macadamia milk and left it overnight to make a runny but thick chia pudding. A delicious way to start the day. Sweet and creamy and all healthy. I spent most of the day at my Dad’s with my sister Lucy helping him with some work he had. He treated us to lunch at Zizzi’s and I managed to keep meat and dairy free. I was intrigued by the menu item called ‘fava e pepe’ which was basil flavoured broad bean chips with roquito pepper pearls. The waiter kindly brought a sample to try but they did not really appeal. Instead I had a main dish vegetable side as my starter and I really liked it. 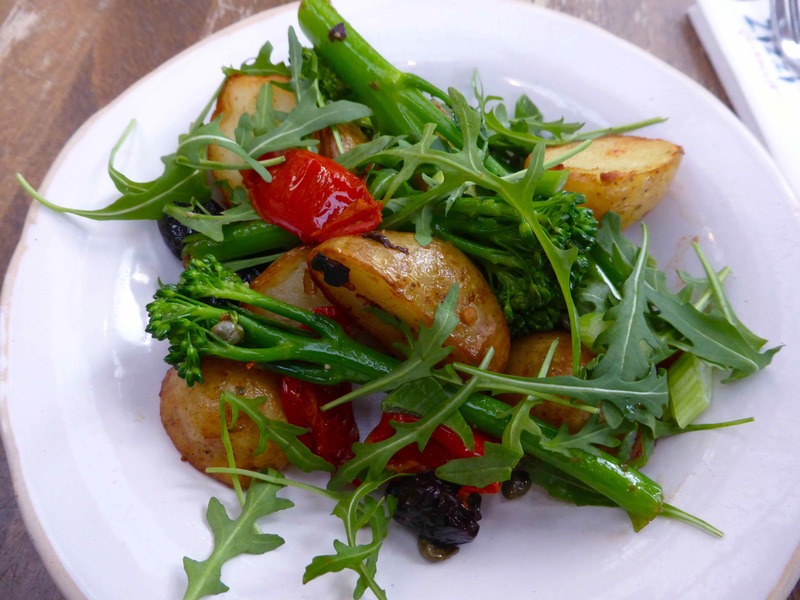 Sauteed new potatoes with tender stem broccoli, peppers, olives and rocket. 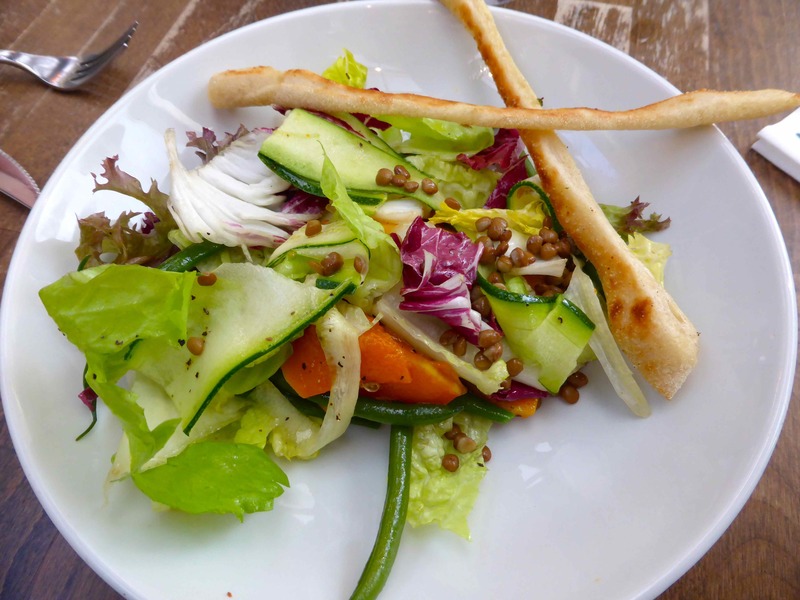 As a main I had a ‘Super Zucca Salad’ which was Roasted butternut squash, mint, courgette, lentils, green beans & salad leaves tossed in a white balsamic dressing & served with dough sticks. It is meant to be served with goat’s cheese but I asked for that to be left out. I did enjoy this but as a main it was not large enough. So I had a dessert. 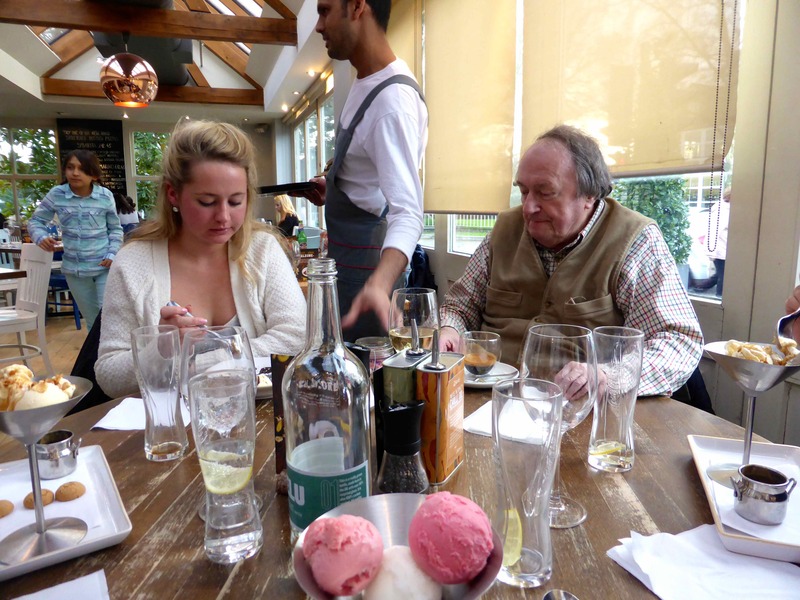 They had 3 different sorbets on the menu and I had a scoop of each; strawberry, lemon and pomegranate. 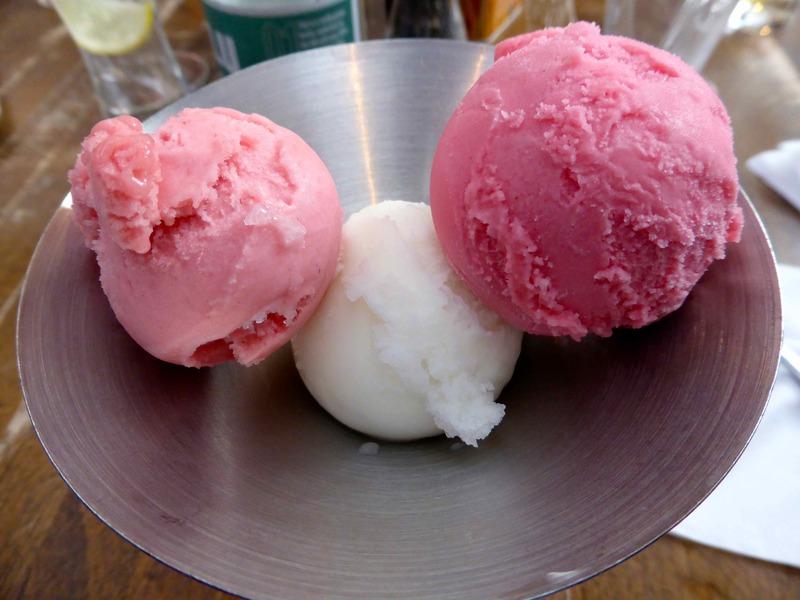 The 2 pink ones were creamy and very enjoyable. I drank mineral water, enjoyed Her Maj’ joining us for lunch and being with some of my family. Thanks for lunch Papa. 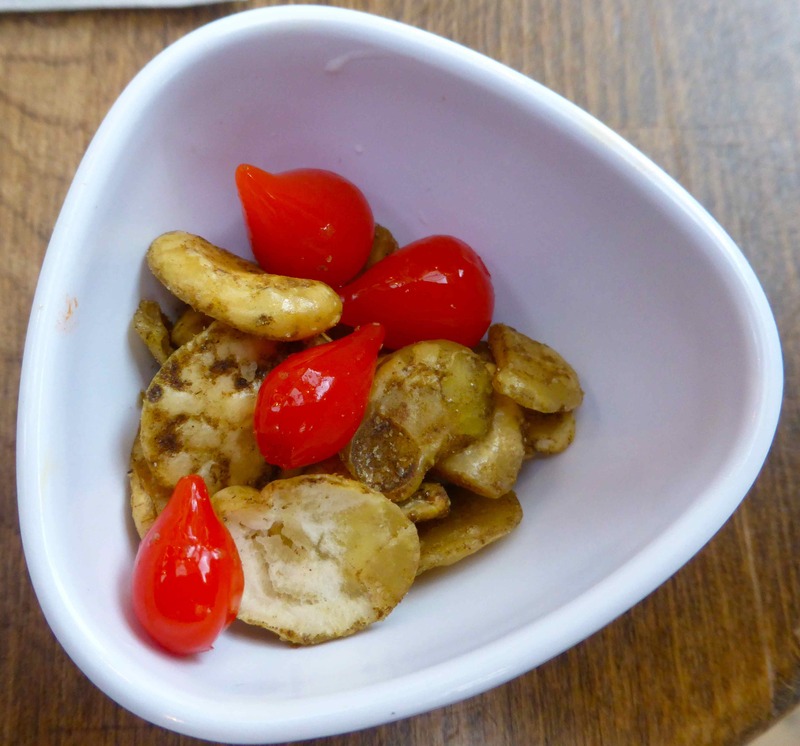 On the way home I popped in to Sally’s for a natter and had some cashew nuts which are probably my favourite nut. 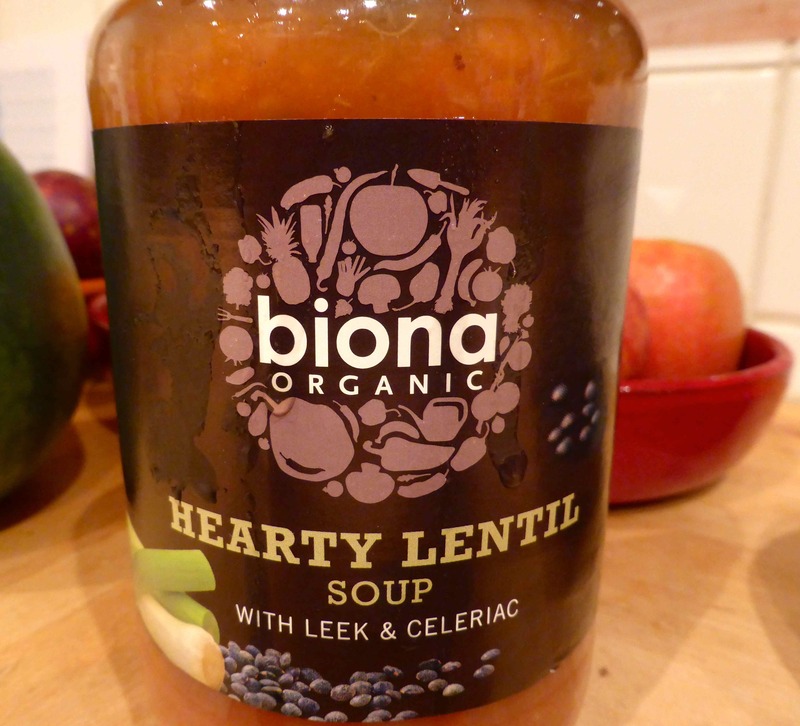 I was hungry at home and had a large jar of hearty lentil soup. 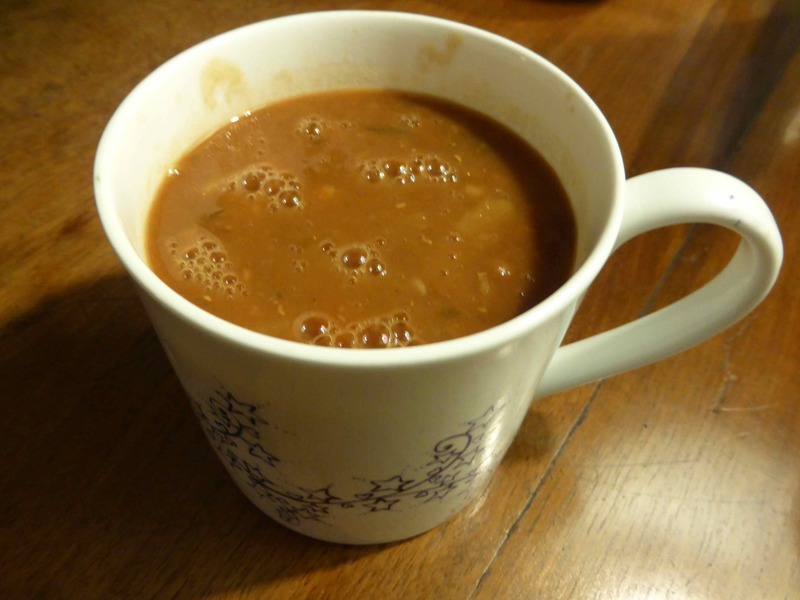 Slurped out of the mug while I wrote this blog so a very easy supper. I didn’t have as many fruits and veggies today as I would have liked but considering I was out all day and offered several things to eat and drink I would have liked to say yes to, but to which I declined, I would put this day down as a success on the eating front. 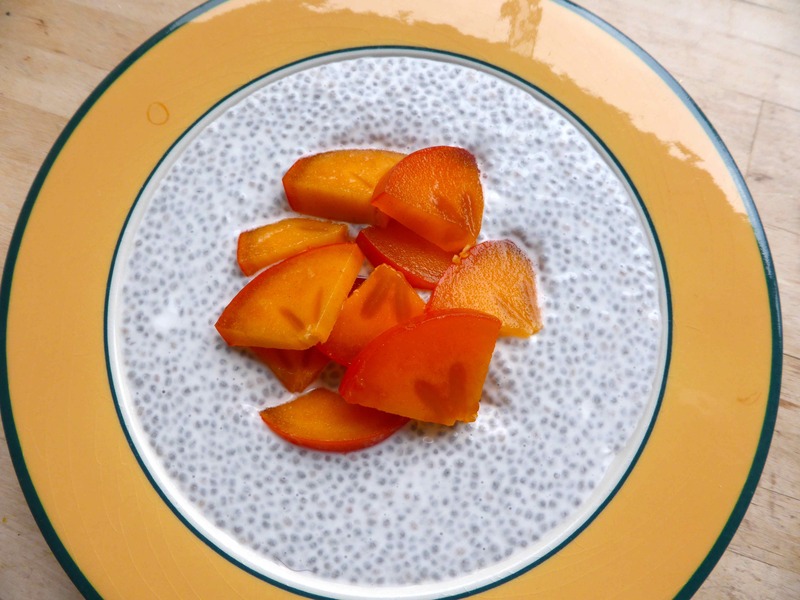 This entry was posted in Uncategorized and tagged Chia Seeds, persimmon, Salad. Bookmark the permalink.